also known as contextual filters. to the correct time period as specified. 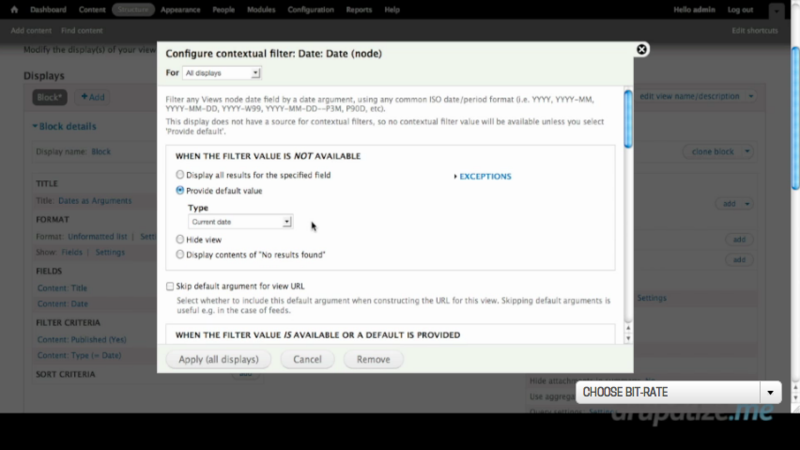 Using a pager in conjunction with a contextual filter is an alternative to exposed filters. And here is an example of what we'll be building. On the left column we have a block with some navigation up here. where the date value in that content field that we have is in that month. We can click through. The entire page is not reloading as we're clicking through this. In this chapter we will walk through using dates as contextual filters, also known as arguments in Drupal-speak. We will create a block which shows us content per month, based on pur date field, and allow users to page through the months.